will run with blood." ~ Mother Shipton. I heard the news of the rescue of Knight, Berry, and DeJesus in Cleveland, followed by news of Grammy-winning singer Lauryn Hill going to prison, with a Browne (Sylvia) being part of the Cleveland backstory. I immediately thought of the three-named "coincidence" mentioned in Magnolia - Green, Berry, and Hill. In the New York Herald, November 26, year 1911, there is an account of the hanging of three men. They died for the murder of Sir Edmund William Godfrey; Husband, Father, Pharmacist and all around gentle-man resident of: Greenberry Hill, London. He was murdered by three vagrants whose motive was simple robbery. They were identified as: Joseph Green, Stanley Berry, and Daniel Hill. Green, Berry, Hill. And I would like to think this was only a matter of chance. ~ Magnolia, 1999. Of course, Magnolia is a fiction film, and takes some license with the story of Greenberry Hill and Green, Berry, and Hill. But the basics are there, and they make for an intriguing story. But the movie's affection for syncs did leave out the subtle fact that the real Green, Berry, and Hill were framed for Sir Edmund Godfrey's murder - ah, a false flag, perhaps - and their names are most remembered with being hung on Primrose Hill. Due to their execution, Primrose Hill, next to Regent's Park, in London, has been known, at times, as Greenberry Hill. On 21 December , Miles Prance, Catholic servant-in-ordinary to England's Catholic Queen consort, Catherine of Braganza, was arrested and taken to Newgate prison. 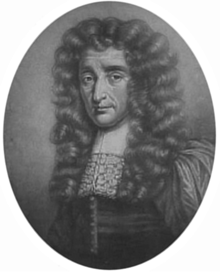 His lodger (who was in debt to Prance), John Wren, testified that he had been away for the four nights before Godfrey's body was discovered. 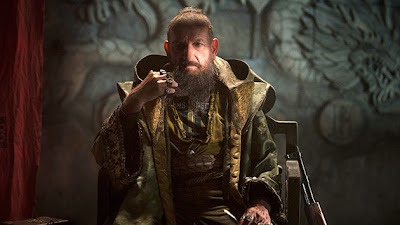 Bedloe claimed to recognize him. On 23 – 24 December, Prance announced that he had had a part in the murder but that the main instigators were some Catholic priests. Three of the priests would have witnessed the murder in the courtyard of Somerset House where Godfrey had been lured. Godfrey would have been strangled and body taken to Hampstead. Prance named three men, Robert Green, Henry Berry and Lawrence Hill, who were arrested. Prance later recanted his confession before the king and the council and was thrown back to prison: he was threatened with torture, and nearly froze to death. As a result he recanted his recantation and recanted two more times, ending up verifying his original story. At the trial he was a highly credible witness, although Hill's wife rightly prophesied "we shall see him recant after, when it is too late." The three men were sentenced to death 5 February 1679 and hanged at Primrose Hill. For a time this was known as "Greenberry Hill," because of the hangings of Green, Berry and Hill. Prance's story was later discredited and he pleaded guilty to perjury. Because the three men were executed on false evidence, and historians accept their complete innocence, the murder remains officially unsolved. Source. John Nash and the Prince Regent developed Regents Park which provided a reason for developers to venture the one and a half miles north of the Town. Once the developers had reached the southern edge of Primrose Hill alongside Regents Park the pressure to build over it was enormous. From 1837 to 1839 owners tried to exclude the public but this was stopped by lawyers. A Bill of Parliament to convert the whole area into a cemetery was narrowly prevented from becoming an Act of Parliament. Source. Mother Shipton's worries about Primrose Hill resulted in her quote, at the beginning of this essay. The fields of Islington and Marybone. Peter Ackroyd in his 1995 book, Blake, comments that the poet was working in South Molton Street at the time of the construction of Regent Street and Park Crescent to the north, and watched it closely. The result was his poem, noted above, which Ackroyd said was Blake's "own vision of the apocalypse," as the building gangs moved northwards. It also alludes to the use of the Hill by Druids, according to commentaries, a practice which has continued to the present day. 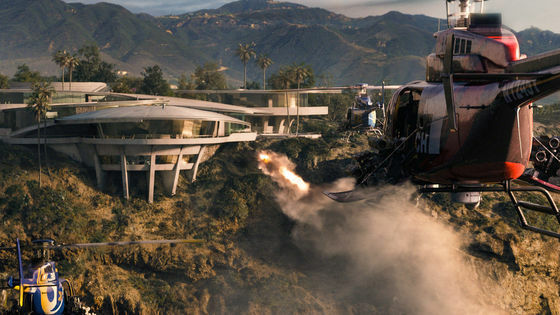 In the new movie, Iron Man 3, which opened on May 3rd, Rose Hill appears in twin roles. 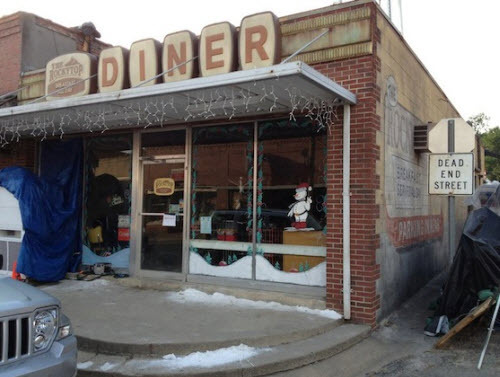 In reality, major parts of the motion picture were filmed in Rose Hill, North Carolina, but a central fictional town, as Sibyl Hunter mentions, is Rose Hill, Tennessee. 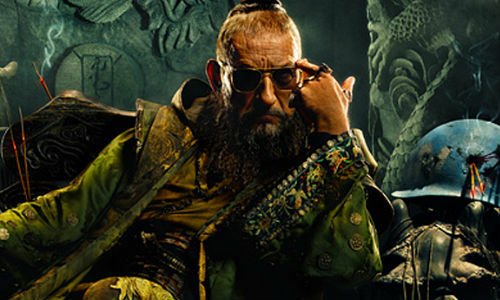 Iron Man 3 is a movie that allows much pondering, of apparent "random" terrorism explosions and amputees (shades of Boston). 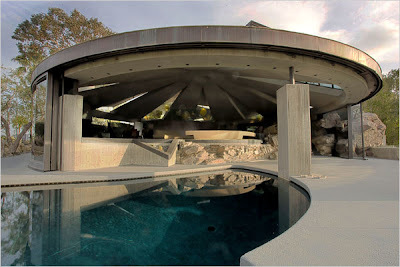 Tony Stark's house (above, under attack) is modeled after various creations of John Lautner (shown below), as has been noted in media interviews about the Iron Man series. Lautner was a student of Frank Lloyd Wright, and the links to further syncs is clear via that connection. Then there is the fact that Iron Man 3's director Shane Black played "Rick Dawkins" in Predator (1987), the first one to die from Alan "Dutch" Schaefer's (Arnold Schwarzenegger's) private military team. "Predator, which I feel certain will stand forever in history as the only film to feature not one but two future governors of major American states." ~ William Bradley (Source of this quote is full of spoilers, so don't read if you haven't seen Iron Man 3). 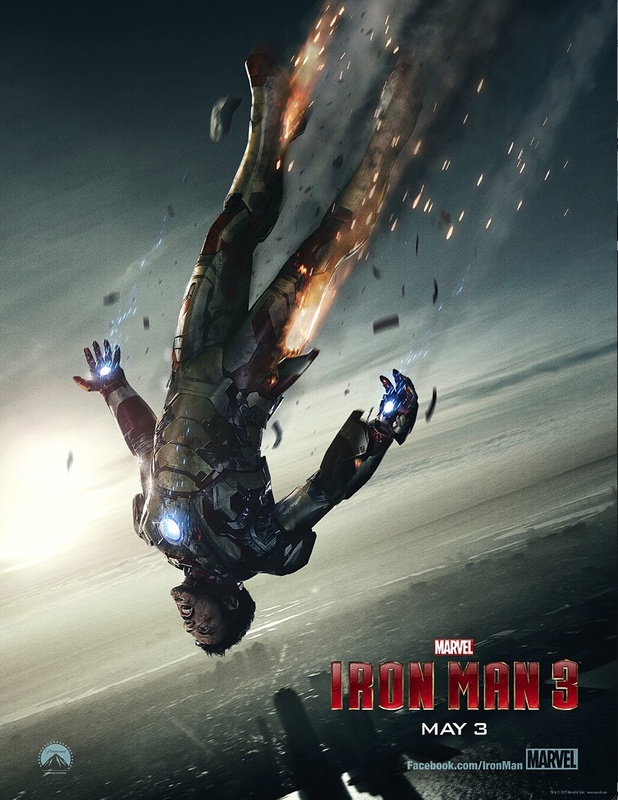 Iron Man 3 is a movie built on the conspiracy culture of false flag attacks and actors playing roles in a melodrama that drifts back and forth between fact and fiction. In a world that gave us, during six months last year, media mania from a massacre in a theater to another one of little children in a school, where does the reality begin and the wall-to-wall melodrama end? 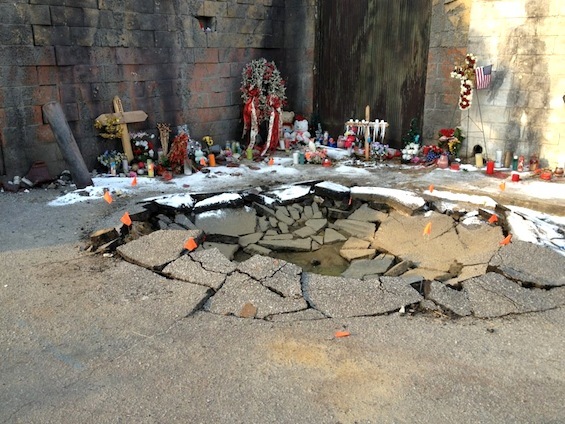 A scene set from Iron Man 3, of a "suicide bomber site" in "Rose Hill, Tennessee." "The streets of the Metropolis will run with blood." It almost sounds like Mother Shipton was talking about another movie, like Superman in the Man of Steel. Or about London and Primrose Hill, it's Star Trek Into Darkness. Regent's Park, the Zoo, and Primrose Hill. What's going on? Why all of this imagery of terror on the screen? Is "Iron Man" anyting other than blatant DOD propaganda? From the comics to the movies, it's an American military fantasy trading on so many national myths. Ugh! Anyway, shades of Icarus in the movie poster. There was speculation, before the Olympics, that a replica "Christ the Redeemer" statue was to be erected on Primrose Hill. We saw plenty of Blake's "Jerusalem" too, at the event. Also, see a band called Madness.